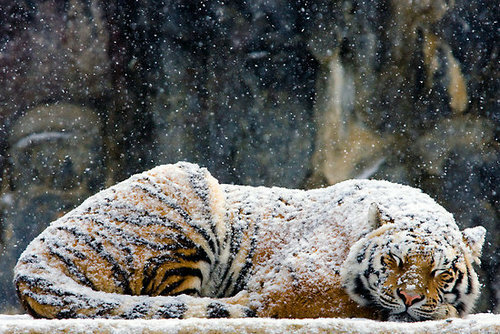 Besides high-speed work, they also have some excellent time-lapse video. 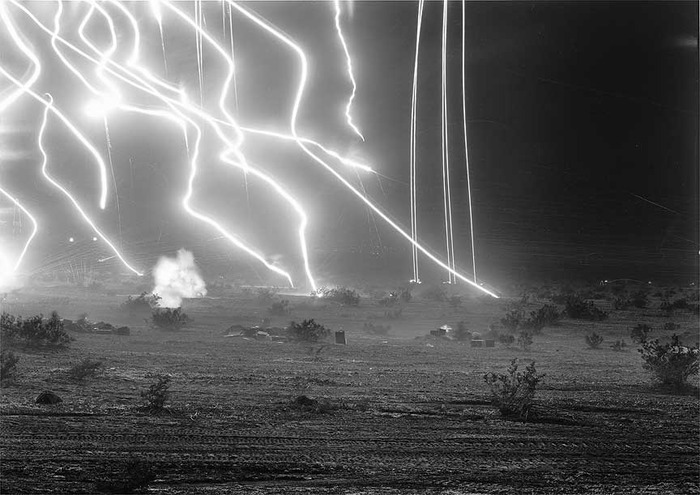 From a different source comes the night illumination photographed by An-My Lê in "29 Palms: Night Operations III"
In this photograph of night artillery practice in Twenty-Nine Palms, CA each line is the path of a shell in flight. When your business is selling high-resolution LCD displays to doctors for medical imaging, you use a different approach to the time-worn "promotional pin-up calendar"
Sin traces the evolution of the Jewish concept of sin from the 1st Temple through the Roman period and then in early Christian conceptions, focusing somewhat on the east. The final bit is a somewhat unusual digression on St. Anselm of Canterbury, an 11th Century philosopher. 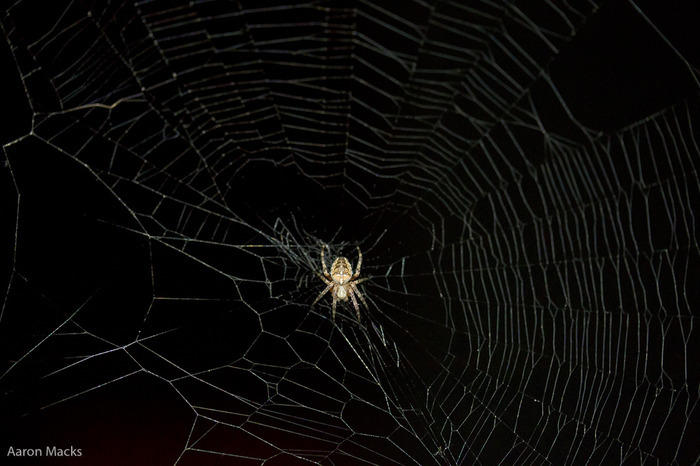 The overarching idea is that the way a religion thinks of an abstract idea, like sin, can be explored through the metaphors they use for it. The first bit of the book traces the evolution of the metaphor from one of a burden one must bear into the Second Temple idea of a debt, which must be repaid. Then the ideas surrounding the repayment of debt are explored, including the borrowing against a heavenly treasury built up by one's charity as well as that of the preceding generations. Anderson's chapters on early Christian thought draw strongly from contemporary Aramaic texts, working from the idea that it was probably Jesus' native tongue. He then provides an interesting, and compelling answer to the question "How did Jesus' death on the cross actually redeem mankind from sin? ", one which is not really explained by early Christian dogma the way that other foundational concepts are (The divine/humane nature for eg.). There is also some comparison between the writers of the early Christian east and the contemporary writers of the Talmud concluding with the importance of the specific act of almsgiving for repayment of the debt of sin. Overall it is a complex, but well argued book. Though Anderson takes care to try and make it available to the layperson, some knowledge of the Bible as well as textual criticism is useful. I was only a bit disappointed that he didn't explore the concept of sin as polluting the land, in the laws of murder and the cities of refuge. An additional factor is that the reading of line 2 as tab-ša 'you are' is problematic. 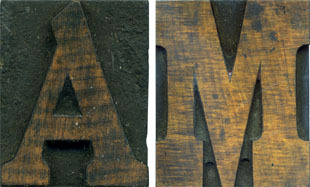 The traces of the signs as copied don't conform well to the reading. 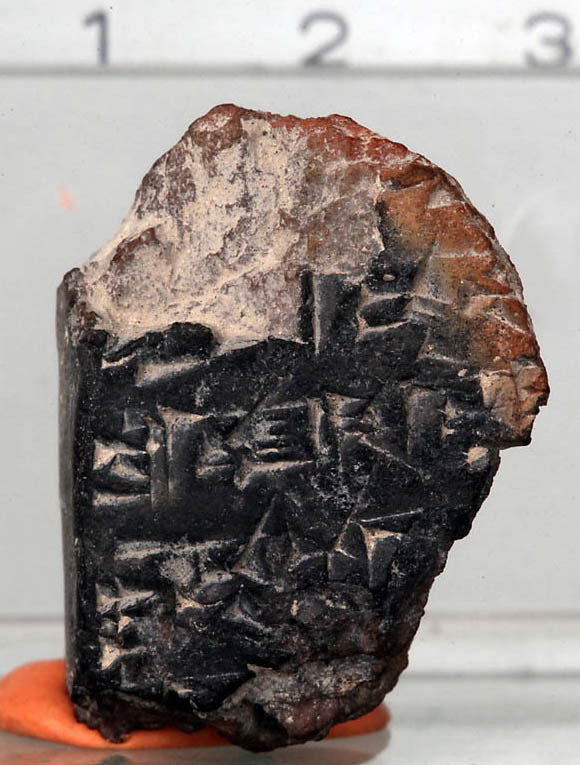 If the tablet was written in Amarna Canaano-Akkadian (which is not certain given the fragmentary state of the text), the reading is also unlikely grammatically: all examples of the verb bašû listed in the Knudtzon glossary are based on the durative ibašši, none on the preterite ibši; further, 1st- and 2nd-person forms of bašû in such Amarna texts are what are called mixed forms: the base is the durative ibašši but the person is marked by suffixes, as in i-ba-ša-ta 'you are' in EA 73:40. So I doubt that line two has a form meaning 'you are'; and that leaves us even less on which to judge what type of text it is. 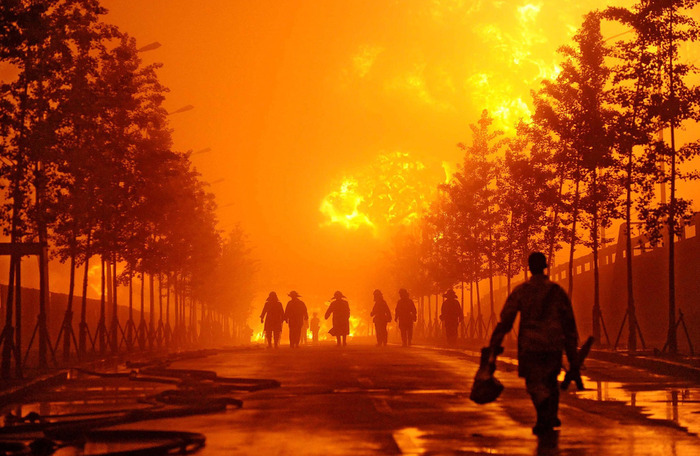 An oil pipeline in Dalian China, near the Yellow Sea, exploded and burned for about 15 hours before firefighters could get it under control. Before it was brought under control someone managed to snap this photo of workers approaching the blaze. More pictures available from the Boston Globe's Big Picture feature. Who'd have thunk that they would figure out a way to be relevant int he 20th century. 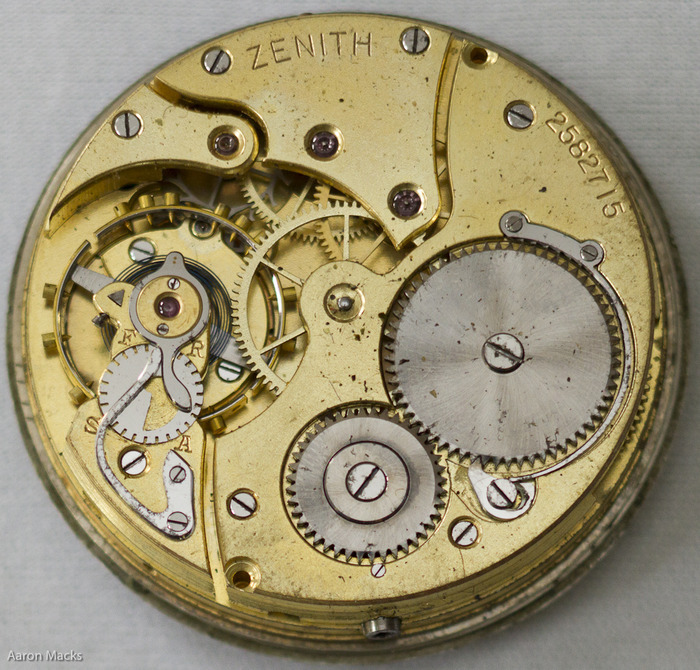 Zenith is one of the multitude of Swiss watchmakers that was founded in the last quarter of the 19th Century (Omega and Tissot date from the same period), and made some excellent chronometres in the early 20th Century. It fell on hard times (called Thierry Nataf) in the early part of this century but under new leadership seems to be heading back to its roots. Here's a PW from their first golden period. 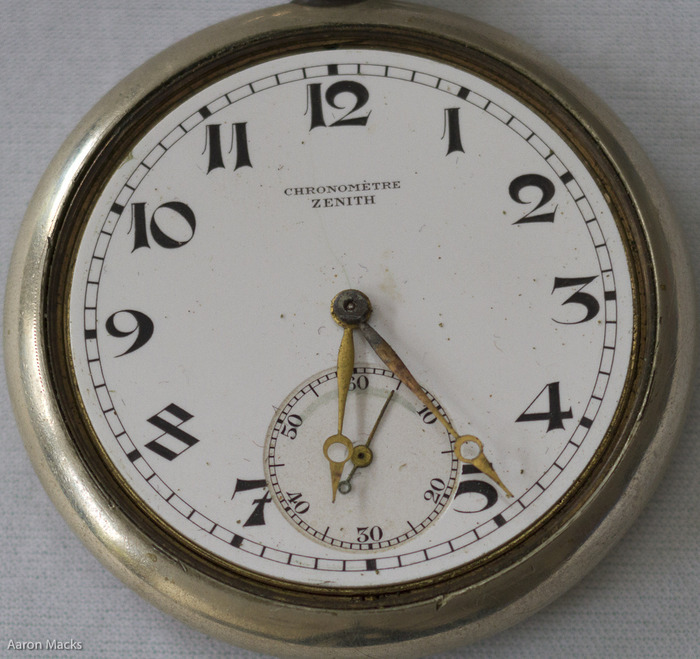 The case is somewhat unusual in being a single piece, the bezel unscrews and the movement comes out the front. 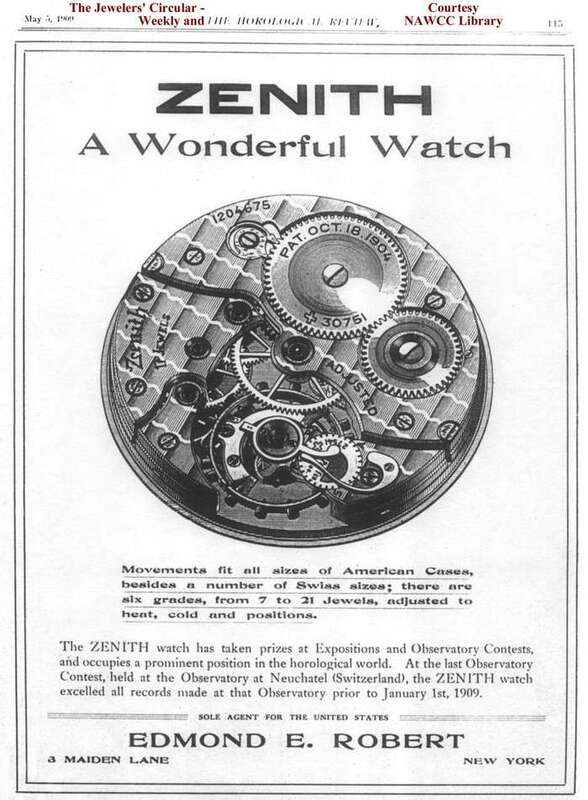 The movement is a rather middle-grade 15J piece, but at least it has Zenith's unusual patent regulator. 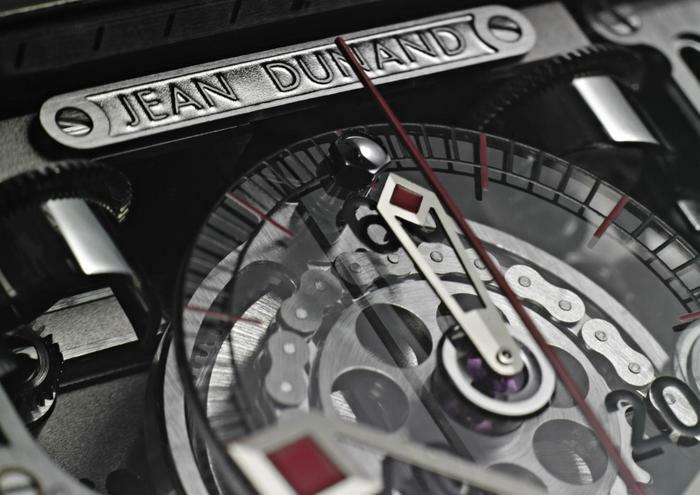 Jean Dunand is a tiny watch brand, perhaps <500 pieces per year, that is tightly coupled to the movement maker Christophe Claret. 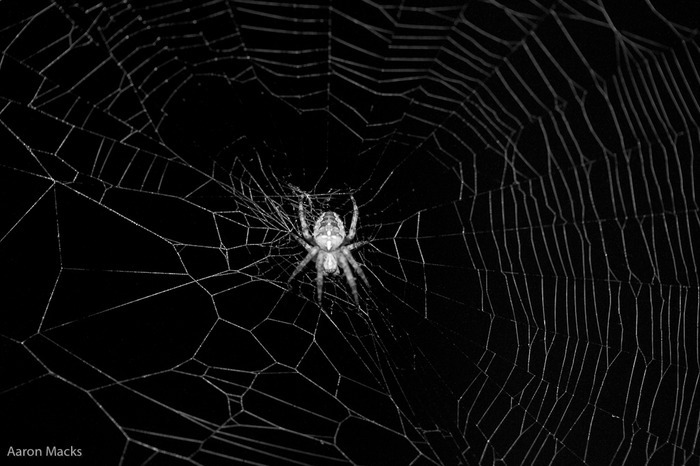 They don't make usual watches, or simple, time-only pieces, only strange complications. 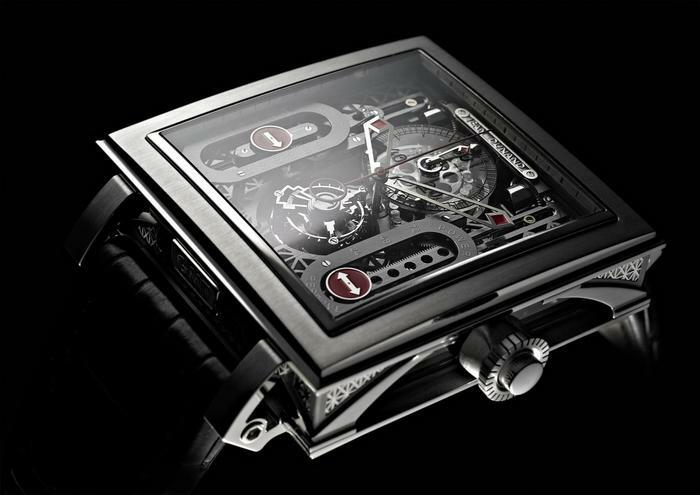 Their new Palace model is a perfect example of that, a tourbillon chronograph with some unusual linear indications, one as the power-reserve and the other a 24-hour scale for a second time zone. They keep referring to the design as Steam-Punk, but I'm not really seeing it. This in mind the Palace of the name is the Crystal Palace, built in London in 1851, and the side of the case does have an "iron truss" feel to it. the symbols appear to be insignificant, containing simply the words "you," "you were," "them," "to do," and "later," the high quality of the writing indicates that it was written by a highly skilled scribe. 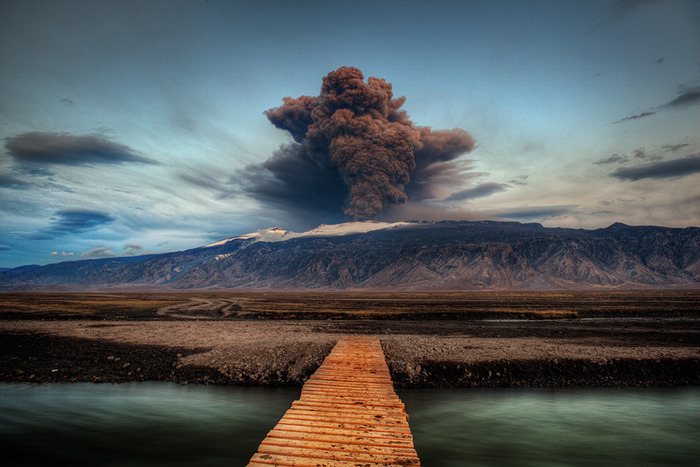 An HDR shot of the recent eruption of the Eyjafjallajökull volcano in Iceland by Tony Prower. 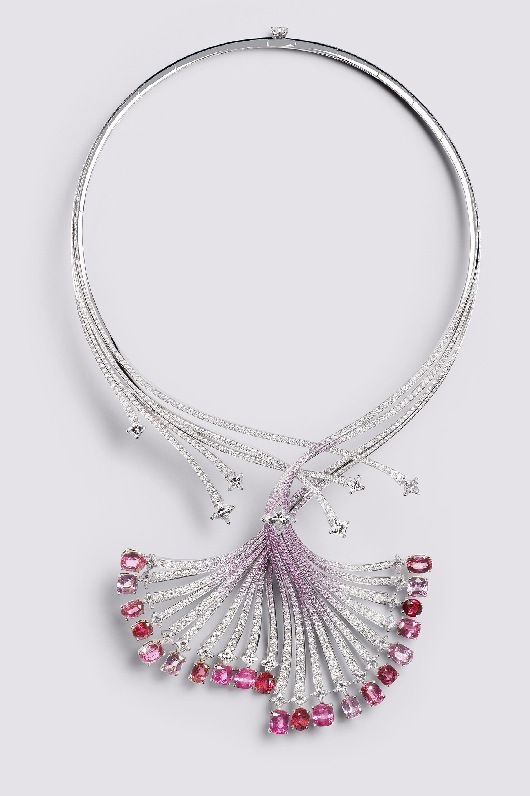 This diamond, sapphire and garnet elephant comes from another animal-themed collection by VC & A, the Voyages Extraordinaires (Extraordinary Voyages) This one was released in support of the Peace Park Foundation, specifically to raise funds for ranger stations for the Lumbobo park in Mozambique. 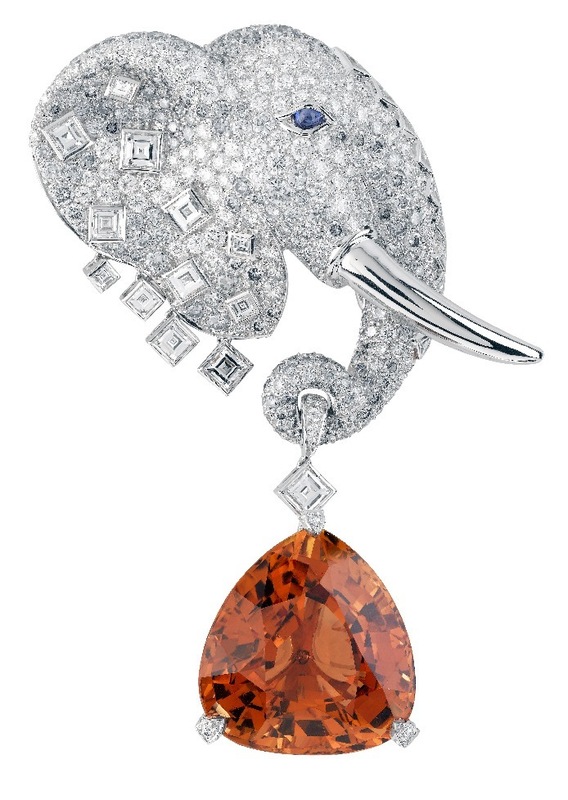 I particularly like the use of the contrasting princess (square) cut diamonds on the head of the elephant as contrast to the brilliant and oval shaped diamonds in the pavee. 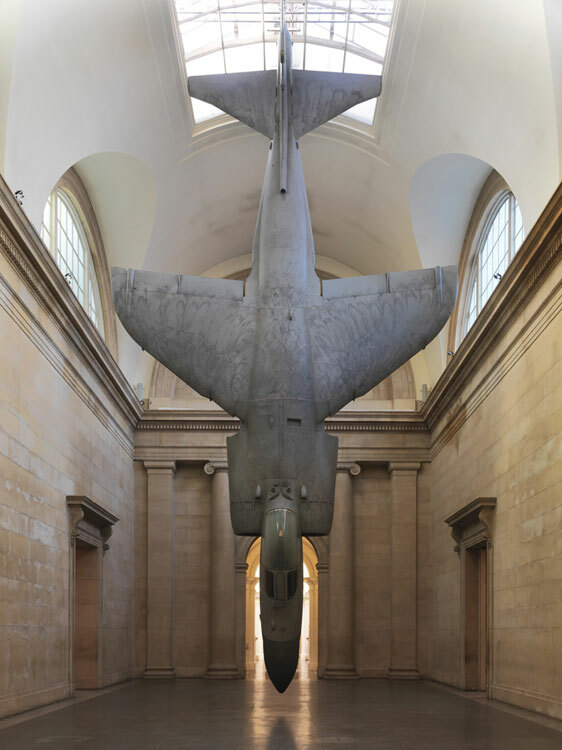 In one of the current exhibits in the Duveen Galleries at the Tate museum, Fiona Banner has repurposed two decommissioned British fighter-planes. The more eye-catching was a carrier-based Sea Harrier, suspended by the tail. The top of the wings have been etched with a feather pattern, an homage to the plane's avian namesake, the Harrier Hawk. 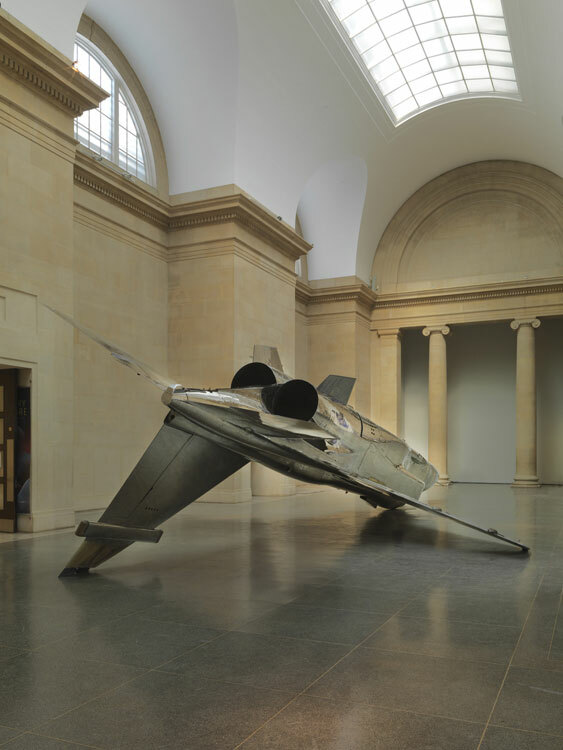 The second was a Jaguar (a joint Anglo-French fighter), flipped on it's back to render it defenseless. The skin has been polished to a mirror-like shine and presents the viewer with a changing reflection of the gallery. 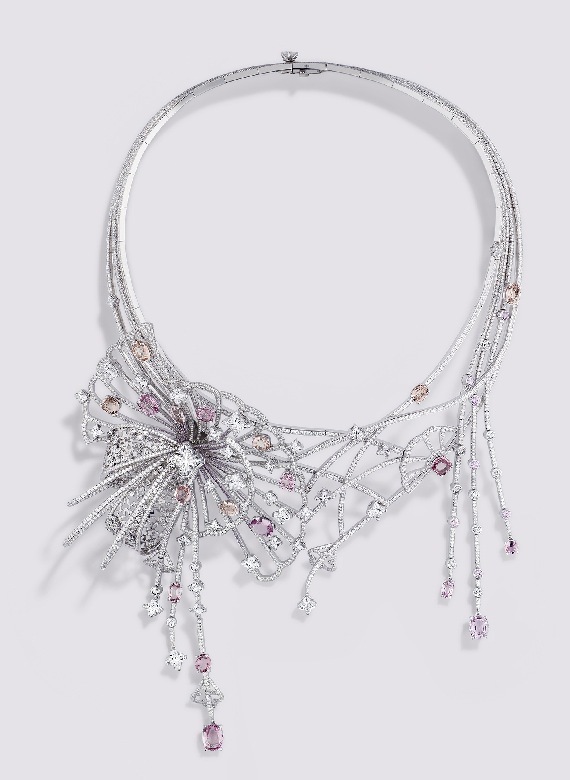 I realize that I presented Louis Vuitton's second jewelry collection without presenting their first. 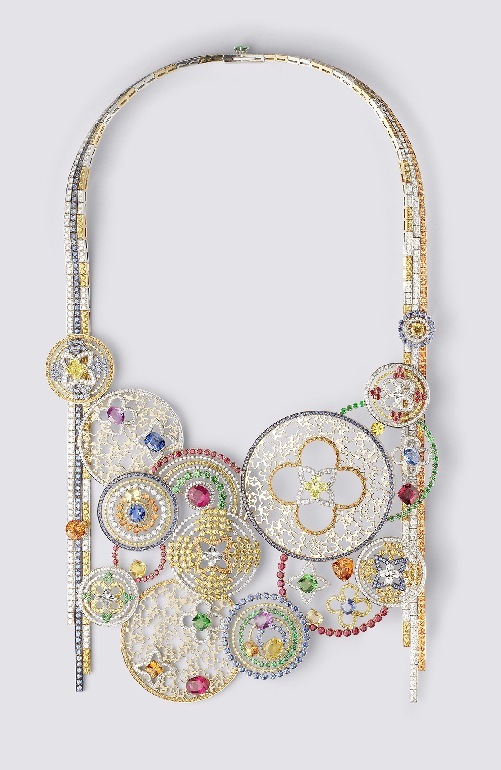 Also by Lorenz Baumer, L'Ame du Voyage (the soul of travel) consists of a series of openwork necklaces in gold and set with multi-colored stones. It was revealed in the mid fall of 2009 and there was even a bit of video for it, with Mr. Baumer describing his concept and design process for the collection in French and some excellent close-ups of the pieces showing the LV-patterned openwork. 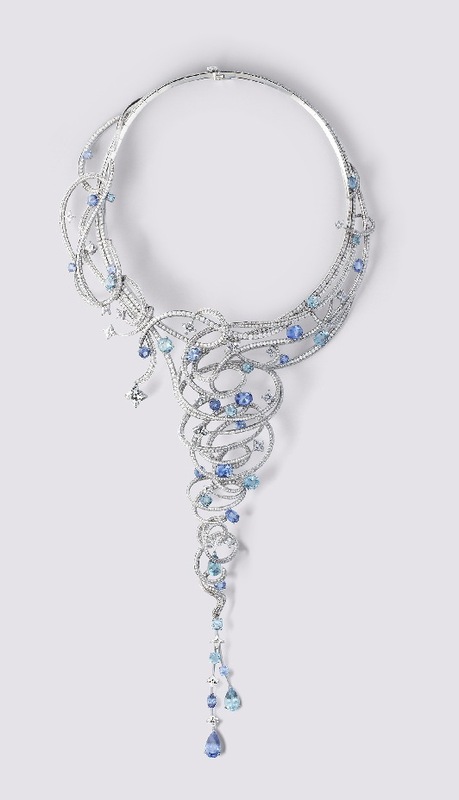 Five of the necklaces follow. 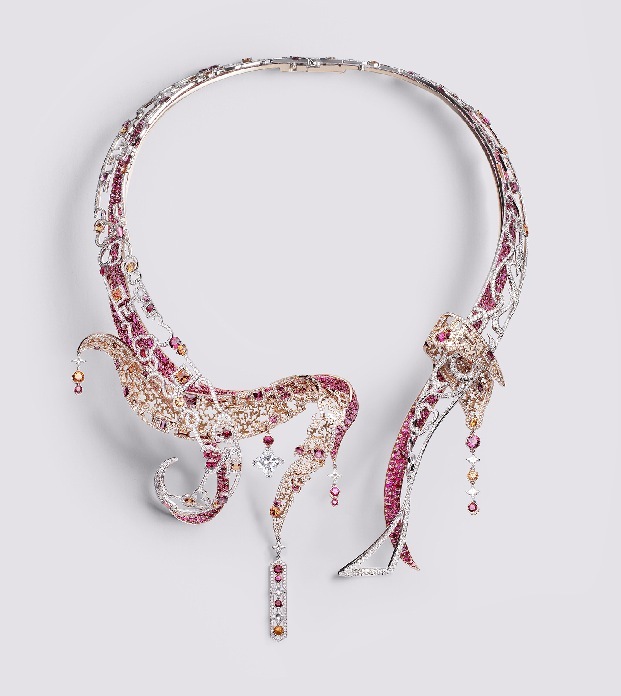 All are 18k gold, pink, white or yellow and are set with diamonds and some of the following: Yellow, Blue and Papradasha Sapphires, Rubies, Spinels, Aquamarine and/or Tsavorite Garnet.